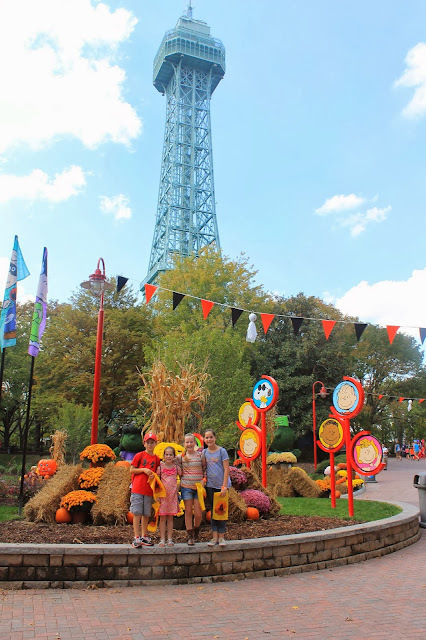 This weekend, we celebrated Halloween early at Kings Dominion’s Planet Snoopy where it’s all fun and no fear for the children. 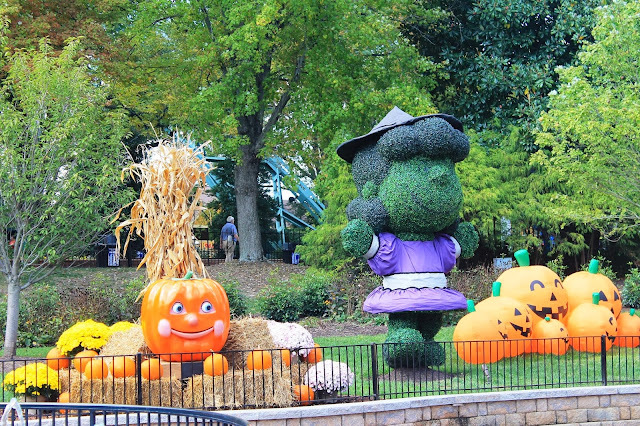 “With the introduction of the bigger, better Planet Snoopy earlier this year Kings Dominion, now is the perfect time to unveil an exciting children’s Halloween event that the entire family can experience together,” said Kings Dominion Vice President and General Manager Pat Jones. The girls loved meeting Snoopy in his Halloween costume. There were plenty of Peanuts pals on hand to meet including Lucy and Linus. The park was beautifully decorated for fall with mums, topiaries, and gorgeous displays. 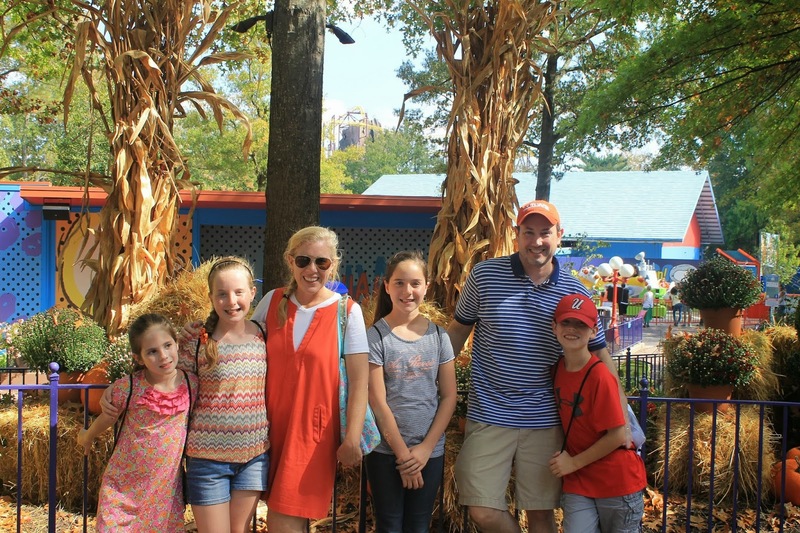 Planet Spooky features Halloween family-favorite activities, including a hay maze, pumpkin painting, a petting zoo, live entertainment and more. Our children checked in at Planet Spooky’s headquarters and received a bag to collect trick or treat goodies from the different stations. There were fabulous treats for children of all ages including puzzles, pencils, and erasers. Children really enjoy the people washer, a pit of fluffy bubbles! Fall is an excellent time to visit Kings Dominion! The lines for rides were incredibly short and we were able to do everything that we wanted to do in a great time frame with plenty of time to eat and shop. On the Rebel Yell and Backlot Stunt Coaster, we were able to ride two times in a row! Everyone loved that. The Eiffel Tower is another must see on everyone's list. Also new in 2013 at Kings Dominion is the opportunity to Trick or Treat with the Dinos at Dinosaurs Alive!, the park’s 6-acre animatronic dinosaur park. 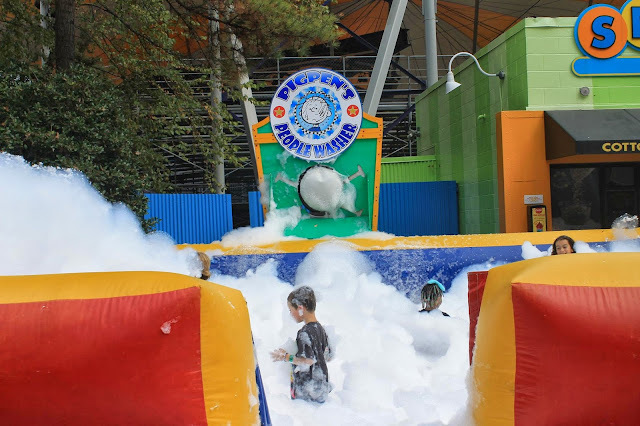 Guests will be able to experience some of the park’s 39 life-sized dinosaurs dressed in costumes, including a fairy princess, bunny rabbit, clown, doctor and more. Along the way, kids can fill up their Halloween candy bag full of the classic Halloween treats. The dentist dinosaur was particularly terrifying to me! John joked that the dinosaur needs a sign that warns, "Don't Worry, It's Only a Root Canal." Now that's scary! Planet Spooky and Trick or Treat with the Dinos at Dinosaurs Alive! will operate on Saturdays and Sunda’s from September 28th through October 27th from 12 – 5 p.m. Guests can get the most up-to-date hours of operation by visiting www.kingsdominion.com/daytime. Planet Spooky is free with park admission. 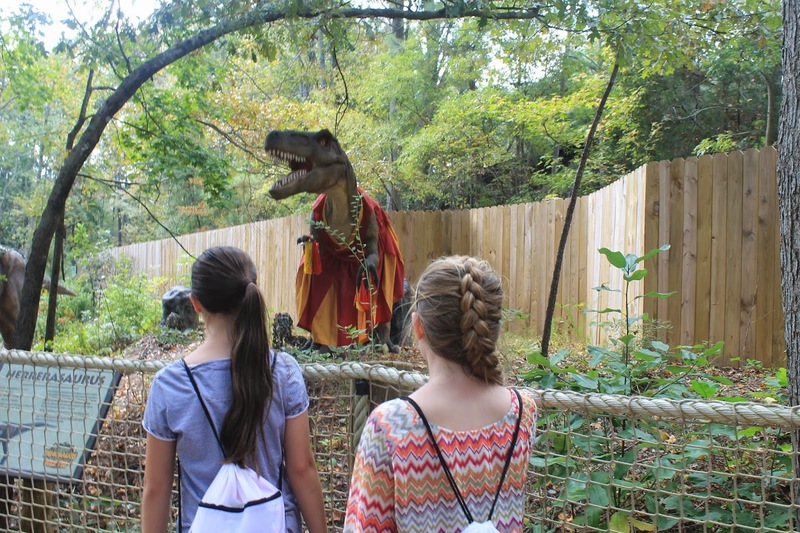 Trick or Treat with the Dinos at Dinosaurs Alive! is just $5 with park admission. 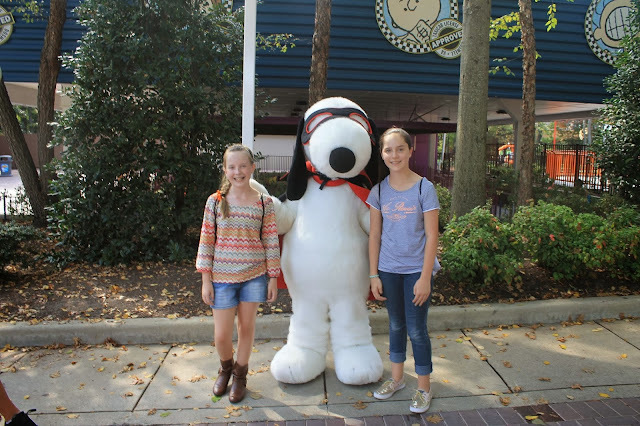 Many thanks to Kings Dominion for four c/o tickets to share this adventure with you! All of the children (and the adults!) had an amazing day! I love those topiaries and it looks like you had a great time! Very cute and festive event. Have they been showing the nighttime Kings Dominion ads up y'alls way? So so scary! Super sketchy - my husband and I were all 'maybe they spent all of their money on this ad but maybe everything is on that level of creepy?' so we decided not to go this year. Haha! I am such a wimp. I love anything Snoopy and it makes me happy to see these fun renovations at local theme parks!